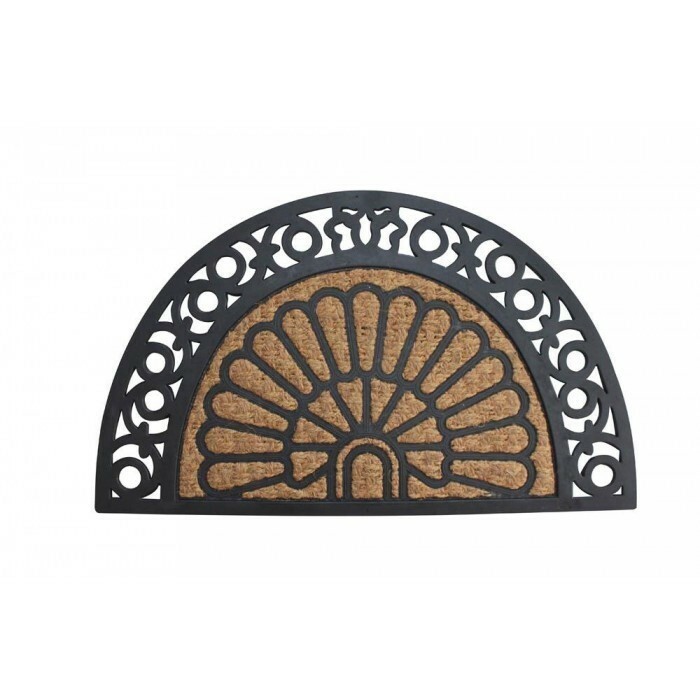 HALF MOON FANCY WELCOME MAT by Summerfield Terrace home decor, jewelry, decor, decorations, electronics, fountains, floor mats, art glass, vases, garden essentials, fireplace screens. Welcome guests in style while keeping dirt out of your entry way! This fantastic half-moon shape coir fiber mat features a wide black rubber border. In the center is a fancy design along with a black rubber fan design over the woven fiber mat. Material(s): RUBBER COIR. Weight 3.3 pounds. Dimensions 30" x 18" x 0.875".